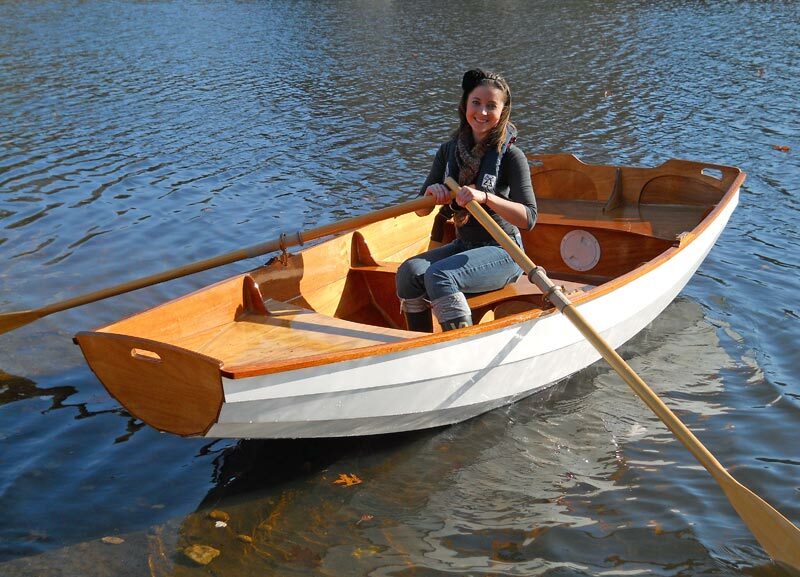 This Passagemaker dinghy, one of Chesapeake Light Craft's designs, was built by Mark R. Allen of Reston, Virginia, for Brian White. Intended for use her as a tender for the White family's trawler, the dinghy will see use in Chesapeake Bay. The pram can be fitted out with a gunter rig for sailing. 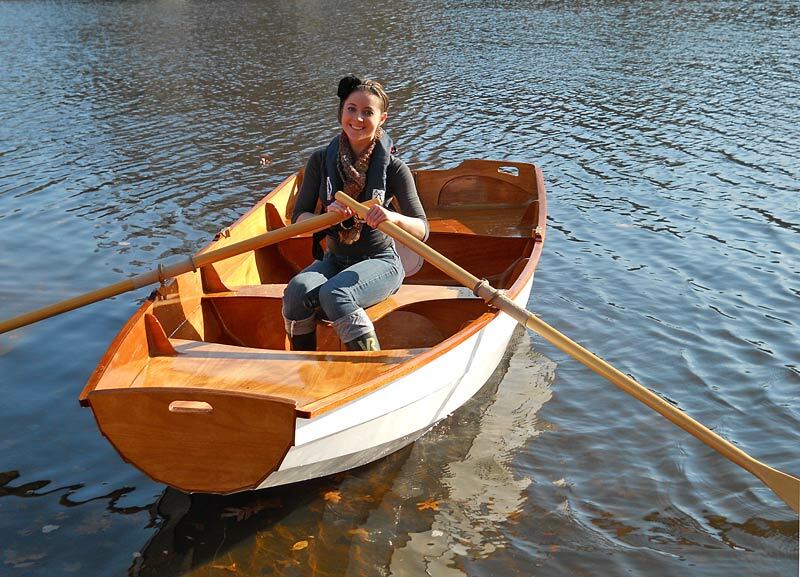 Here she is rowed by the builder's daughter, Catherine, on launching day. Contact Mark at cjmallen@verizon.net.